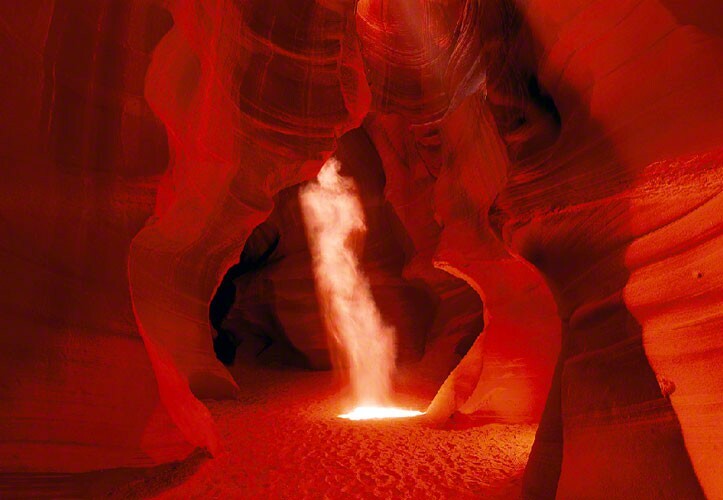 Australian photographer Peter Lik Print Sells for $6.5 Million to a private collector. His black & white picture titled ‘Phantom’ depicts a ghost like body of light streaming into what looks like a cave with a floor of sand in Arizona’s Antelope Canyon. This tops the list of most expensive photographs ever sold. LIMITED EDITION – 950 ARTIST PROOF – 45 giving Lik a potential return of over a billion dollars for the run. Lik also announced that the same buyer purchased two other photographs for $2.4 million and $1.1 million (“Illusion” and “Eternal Moods,” respectively), giving Peter Lik one fifth of the market of the 20 most expensive photos of all time (he previously sold a separate photo for $1 million back in 2011).